Juicy J, Ty Dolla Sign, and more join to celebrate the imprint’s new deal with Atlantic. Wiz Khalifa's Taylor Gang imprint is wasting no time after an announcement last weekend that Atlantic has signed the label to a global distribution deal. 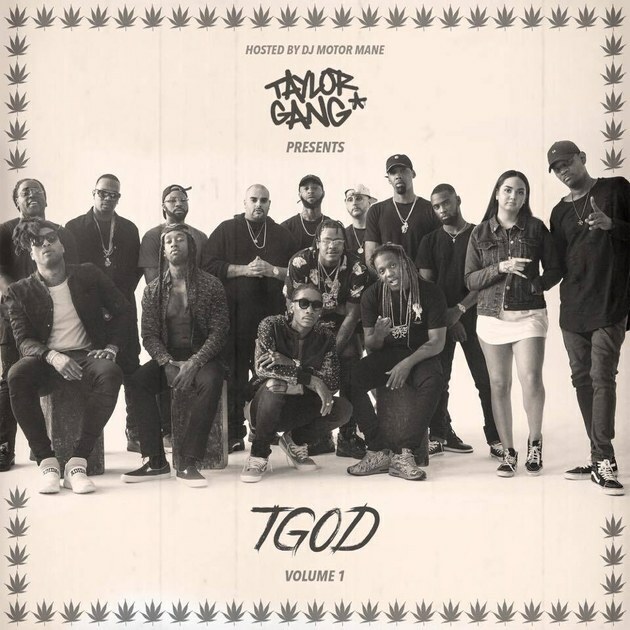 Today, the Gang dropped off TGOD Volume 1, a 23-track collection full of material from its full roster, including flagship guys Wiz, Ty Dolla Sign, and Juicy J. The tape leads off with some signature stuff—Ty flexing over acoustic strums, Wiz over some Kush & OJ lite funk—and features spots from regulars like Berner, Chevy Woods, and Project Pat. Heavy hitters 808 Mafia and Harry Fraud show up on the production credits too. Stream and download here, via DatPiff.